WHY I LOVED IT: Unbeknownst to me at the time the J. Geils Band has been around many years before this came out—shame on my 10-year old self for not having a more expanded musical faculty by then. Regardless, the album was one of my first true tastes of rock and roll. I remember some things musically when I was that young better than others, and “Centerfold” was one of my very first musical obsessions. If it’s not the first MTV video I remember seeing it’s definitely up there. Who could ever forget that video; showing the band performing the song in a classroom with a ton of hot chicks dressed up in catholic school uniforms, barely pretending to be students. Yum! It was every teenager and their raging hormones wildest dream and I’m sure that extended to adults as well. Also, never sleep on “Na, na, na, na, na, na.” as the supreme whistling melody line of the decade. I loved the beat for “Freeze Frame” and it became one of my early 80’s go-to sing alongs. The other tracks on this album were alright but for me this was nothing more than a two track album. However, for me those tracks were so memorable and enjoyable that it makes this list anyhow. COMMERCIAL SUCCESS: Not many mainstream fans knew the J. Geils Band before this came out but amazingly it was actually the band’s 12th studio album. It became their lone number-one album, reaching the top of the charts in February 1982 by overtaking Foreigners “4” and remaining there four weeks before getting knocked off by the Go Go’s “Beauty and the Beat” debut album (No. 93 on this countdown). “Centerfold” was far and away the album’s biggest hit, reaching the top of the Billboard Hot 100 and staying on top for six weeks. It finished 1982 fifth on the year-end Billboard Hot 100. More importantly to music historians it came in at No. 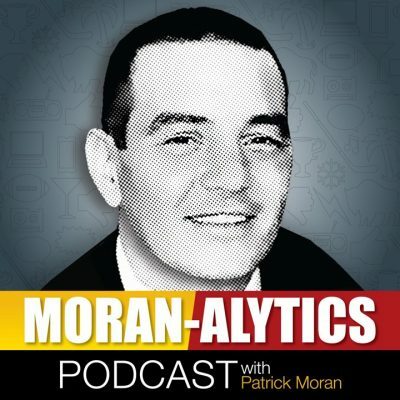 28 on the Moran-Alytics Favorite 100 Songs of the 80s countdown earlier this year. “Freeze Frame” peaked at four on the Billboard Hot 100 and finished ’82 on the year-end chart at No. 49. “Angel in Blue” didn’t share the same popularity as the other two tracks but did manage to crack the United States Top 40 for two weeks. 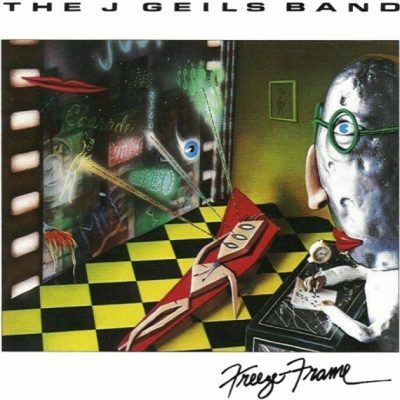 FUN FACTS: From Songfacts.com: “Freeze Frame was written by J. Geils Band lead singer Peter Wolf and keyboard player Seth Justman, who also produced the album. Wolf brought an energy and swagger to the songs he worked on, while Justman was often the creative engine, specializing in various keyboard sounds. Justman joined the band a few years after they formed, adding piano and organ to their mix, and quickly becoming a primary songwriter. The group was one of the first rock bands to emerge from Boston, with a sound that also incorporated blues and soul. Throughout the ’70s, they earned widespread acclaim but just modest chart success, with their most successful song the 1974 track “Must Of Got Lost,” which made #12 US.